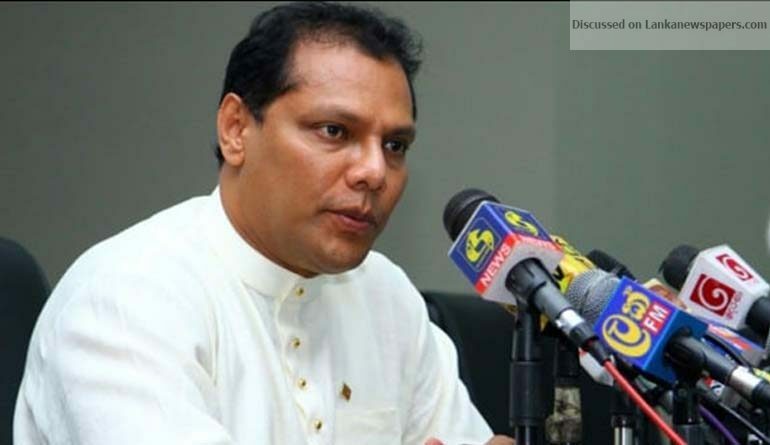 Former Minister and UPFA MP Dayasiri Jayasekera yesterday informed parliament that a plot was being hatched to remove the President through constitutional amendments. Jayasekera said so when heated arguments ensued in parliament over the discussion paper of the Constitutional Amendments prepared by the Expert Panel. Speaker Karu Jayasuriya said that he would discuss with Prime Minister Ranil Wickremesinghe, who is also the Steering Committee Chairman, the issues that had cropped up on the expert panel report. The Steering Committee, when it met on Wednesday, rejected the discussion paper prepared by the Expert Panel on the grounds that it lacked unanimous agreement of the panel. The 10-member expert panel has been asked to meet again and arrive at a consensus on the discussion paper. Minister Kabir Hashim informed the House that the draft of the Constitutional amendments would be presented only after a broad discussion to accommodate the opinions of all parties involved in constitution making. Joint Opposition MP Mahindananda Aluthgamage charged that the signature of an Expert Committee member had been forged in the report. “This member has not been to Sri Lanka for six months now. He is overseas, but the report submitted yesterday contains his signature,” he noted. MP Anura Kumara Dissanayake, referring to Wednesday’s Steering Committee urged the Speaker’s intervention to resolve the prevailing confusion. The Speaker agreed to look into the issue and discuss the matters with the Prime Minister.